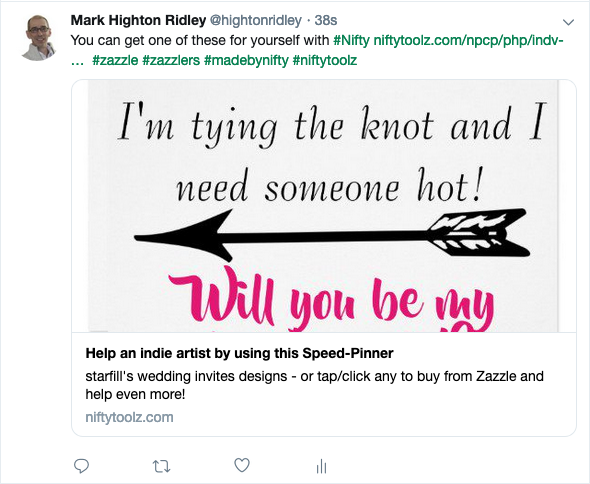 We’ve done something for you that helps to get your friends, family and faithful followers to pin your designs on their Pinterest. A bit of virality! How could any of them refuse that? Of course, you’d say something different than I did, something aimed at friends, family or faithful followers. 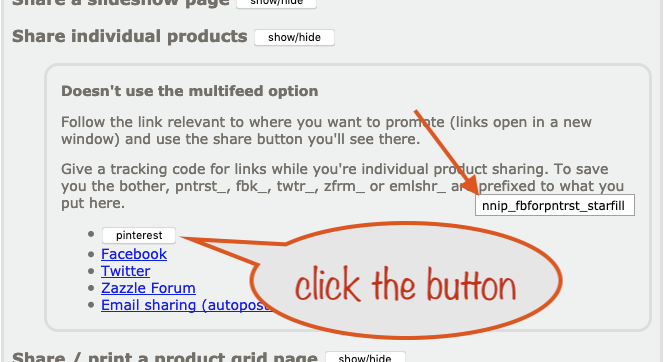 Use the Nifty Promo Control Panel as usual to set up the products to use. When you’re ready…. 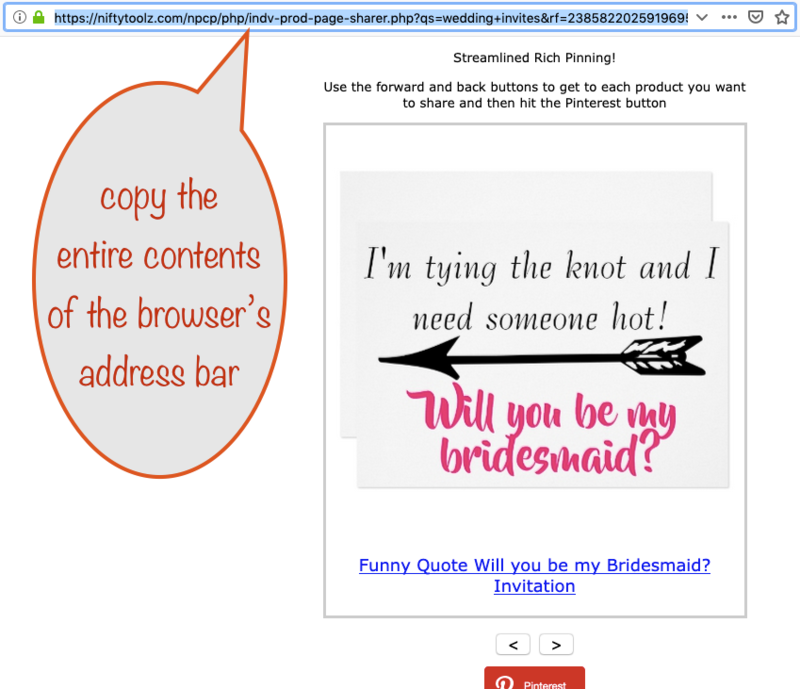 the individual product pinner page opens…. then just select the browser’s address bar contents and copy it. It’s a hugely long line of gibberish – but important gibberish, nonetheless! However you choose to share, you’ll get a lovely-looking end result with text designed to appeal to those who support indy artists, as well as friends, family etc. 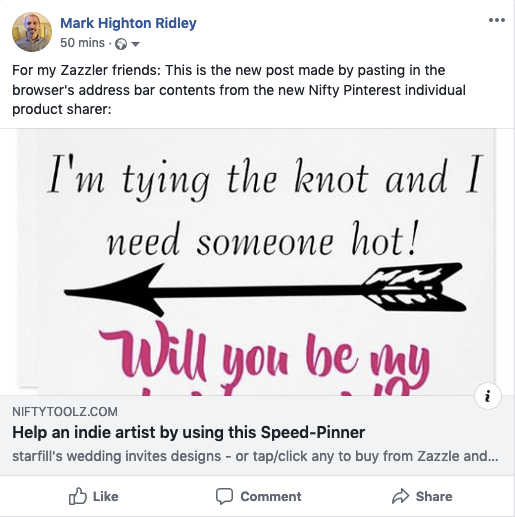 The text “Help an indie artist by using this Speed-Pinner” is designed to encourage in a non-pushy way.